We’re delighted to announce that our house band The Real Goners will be playing at Brynmill Coffee House on Friday Feb 10. We love their retro style, and they’ve been a real hit with our customers, so we thought we’d give you a chance to find out a bit more about them. Here’s an interview with the band’s guitarist and vocalist Alastair Jenkins. Q: Tell us a bit about the band’s background. A: The Real Goners began around three years ago. All of the members have been close friends and have all played in other local groups for many years. 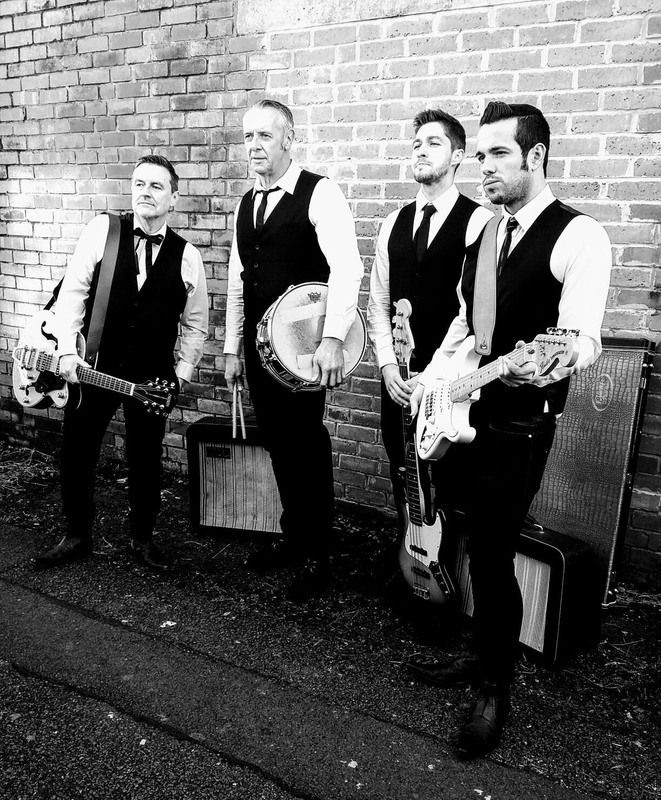 I had just left a 1960’s style beat/R&B band from Bristol called The Hi Class Joes and shared a mutual love for 1950’s and 60’s Rock and roll, Rhythm and Blues, Rockabilly and 60’s Garage music with Greg Fabb, my brother Rhys Jenkins and Con Cole. We decided to put something together and started working our way through a vast catalogue of our favourite tracks from the era and style, putting our own stamp on them. My Brother Rhys had to step down from playing bass with the group due to commitments with his PhD in Physics and his other group Hot Mass. Our close friend Darryl Sloanes has since stepped in. Q: So what’s the full band line-up? Darryl Sloanes – bass guitar; and Con Cole – drums. Q: What is the driving force behind the band? A: The band was created purely for a love of the music. I personally find this type of music the most exciting thing I have ever heard and I’m sure the other chaps in the band feel the same. I grew up on a strong diet of Eddie Cochran, Buddy Holly, The Beatles, The Rolling Stones and The Beach Boys with my father playing these artists on family road trips and around the house, so I have always had a love for the style. Q: Tell us more about your approach to the music. A: It’s the type of music we feel that when you hear it, you really will struggle to keep still and in our opinion hopefully you’ll have a good time listening to it. It’s simple and honest and we felt that with our passion for this style of music we could truthfully represent it, not as a ‘covers’ band but as a traditional rock and roll group with a theme to keep it as genuine and as true to its form as possible. We try to not only replicate the songs, but also the actual sound by using era specific equipment as much as possible and making sure we dress sharp to add to the package. The inspiration behind the band was a pure love for the type of music we play, so much so that we wanted to replicate it in our own way. I’ve been a fan of the 50s and 60s culture for a long time and try and stay as close to it as possible by collecting records, films, home furnishings and as many other aspects of the period as possible. I also run a monthly club night which I DJ, playing rock and roll/rhythm and blues, surf, rockabilly and garage. It’s called Rip it Up and it takes place at Mozart’s in Uplands. Q: Where did the group’s name come from? A: The group’s name came from an old hepcat term ‘gettin’ real gone’. We liked it and it just stuck. 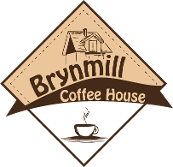 Q: How do you feel about being the house band at Brynmill Coffee House? A: We’re extremely excited to take on house band duties for the coffee house. We really love what the guys are doing and they are wonderful people, we’re excited to be a part of it, plus, the food and coffee there is out of this world! Q: What do you enjoy most about being in The Real Goners? A: I love playing songs we’ve listened to and loved over the years and putting our own style to it, whilst making music with my three good friends. I love it dearly and it fills me with excitement every time we do it!